It’s April, and we’re hurtling towards finals week at full throttle. In readying for the apocalyptic breakdown, we’re preparing our sweatpants, waterproof mascara and caffeine stockpiles. 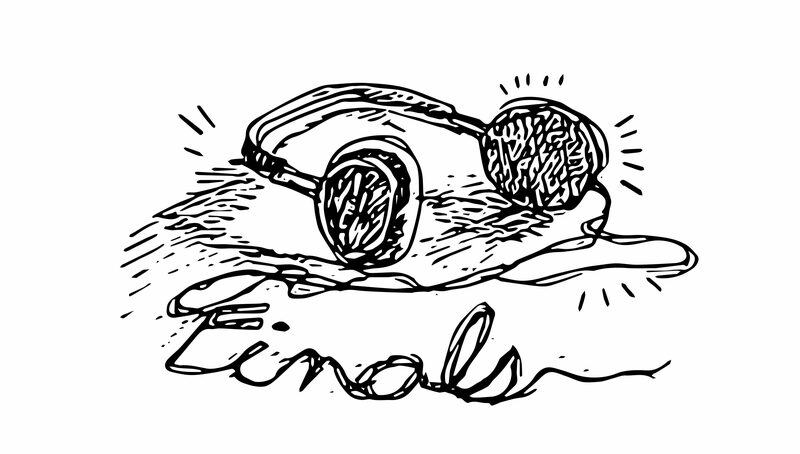 Here’s my chronological soundtrack for finals week, to get you whistling while you work. Finals are less than two weeks away… press the panic button! Try harmonizing your sobs with The Weeknd’s crooning voice. Amp up your angst with Tyler Joseph’s grating voice. Butler’s buzzword of the month is stress. Ugh, yes, you and the other couple thousand kids on campus. All together now: ready, set, whine! The bags under our eyes are designer. “Up All Night” is the pump-up jam for those cramming until the wee hours of the morning. Just ask the pharmacy students. Feeling hopeless? Never fear. Butler’s Stress Less Weeks will provide you with crayons and barking dogs for your wittle bwain, at the expense of the blood pressure of everyone else at Irwin. That is, nothing else matters when it comes to meeting Moodle’s midnight deadlines. 11:59:59 is doomsday, and no one embodies that emo vibe quite like Metallica. Slowly but surely, even the best-dressed kids deteriorate into a pile of sweatpants and messy buns. It’s probably been a hot minute since you showered, so bonus points if you show up to the exam looking like Post Malone, too. Play this after your classmates all agree that “C” was the answer, while you were dead set on G. For a group named so cutely, you’ll appreciate the irony of a song that celebrates absolutely floundering your way through the Business Ethics multiple choice. So, you bombed the essay that was worth 40 percent of your grade. There’s always next semester! Or summer school! Or dropping out! Or a career in the circus! The pull of Landsharks’ $1 wells is so, so tempting. Work hard, play hard! You deserve a break, right? Ditch your flashcards, celebrate and enjoy a different type of headache. Even after these brutal weeks, you’ll be as emotional as Drake when it comes to packing up and peacing out. After Cinco de Mayo, the sun sets on the knoll, signifying the year’s wound down. See you in August! Check out our Spotify playlist by clicking below, and be sure to follow our page!